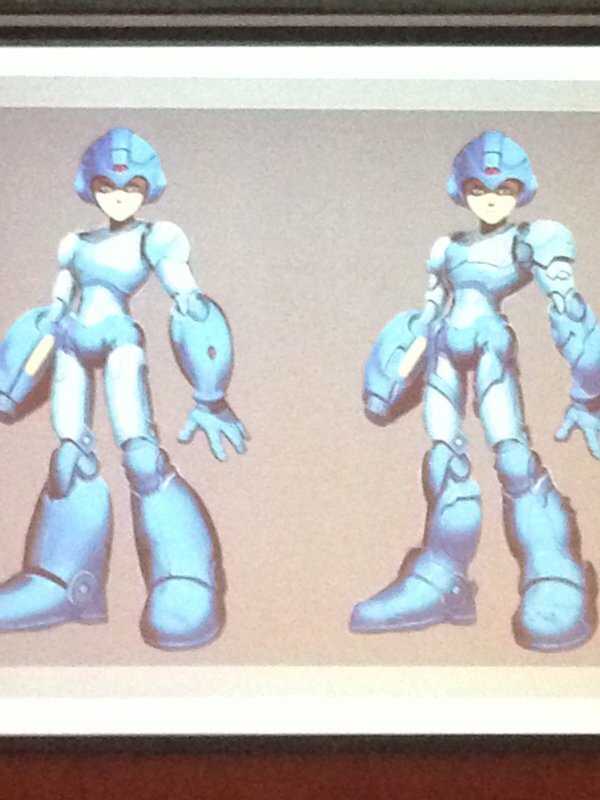 Speaking at Game Dev Santiago last week, professional artist and industry contributor Gonzalo Ordoñez, better known as Genzoman, revealed concept art from a cancelled Mega Man game. We've transcribed and translated his comments from an archived stream of the presentation. Read on for the details! "Maybe this (canceled) project was the one that hurt me the most. A Mega Man game, that we were just working on at the time, but I don’t know what happened that. Somehow the game remained “in limbo”(as just an idea). Our initial plan was to introduce some kind of project similar to the “Pixar” style, but that opinion was not very well received and then it became more of an “Iron Man” concept. You know, it was the time in which the superhero theme was quite popular, thus from the “Pixar” version, it became the “Iron Man” version. 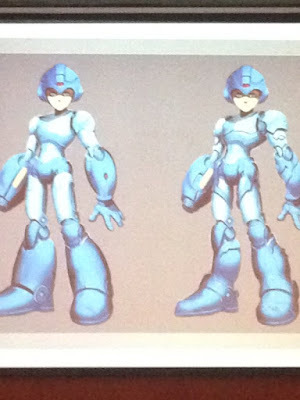 The game never went past the concept, and well, it stayed as (…) where the character appeared as a much more (...)"
The Pixar style Genzoman refers to is the Mega Man on the left; the "Iron Man" version on the right. tl;dr, the project started out with a cartoon-style and then it evolved into an "Iron Man" style. Ultimately, it never got past the concept phase. It's unknown if the game was pitched to Capcom by Genzoman OR if Genzoman was commissioned by Capcom to work on it. Pending additional comments from Genzoman, that's probably all we're going to know for the time being. I'm going to keep digging into this one a bit further, though. I'm very interested to hear where this ill-fated concept fits into the last six years of cancelled Mega Man games. UPDATE: Genzoman tells me "[I] just did this two concepts as commissioned work for a MM pitch project back in 2009 or 2010. I showed this image along some other char designs as examples of re-design." While the 2009/2010 would align with Armature Studio's work on the Maverick Hunter first-person-shooter, Genzoman believes this particular project was unrelated. A big thanks to Sess for translating/transcribing the audio and MightyRengar for the image! Interesting, I'm going to assume this is something this guy's company was going to pitch to Capcom and not Capcom hiring them to make a Mega Man game. Wait, from what date is that project? I too would like to know that detail. I'm looking at the design of the Pixar style and I'm seeing some semblance of the Ruby Spears cartoon design: Maybe its the shoulders or maybe its the helmet, but I honestly thought that when I first see the design. Doesn't look so "Pixar" to me, although I see the "Iron Man." Interesting that (I believe) this would've been when Inafune was still with the company. Hey, man, I'm from Perú, but I just doubt that people here understand the "chilean-speak" joke. i have a feeling it could have been connected to maverick hunter. mostly considering the "iron man" desing. That looks unbelievably awful, dodged a bullet there. Good on ya, capcom. The head and lower legs looks fine, but there's something about the design from the neck down to the knee that feels off to me. I think he's got a bit too much of an hourglass frame. 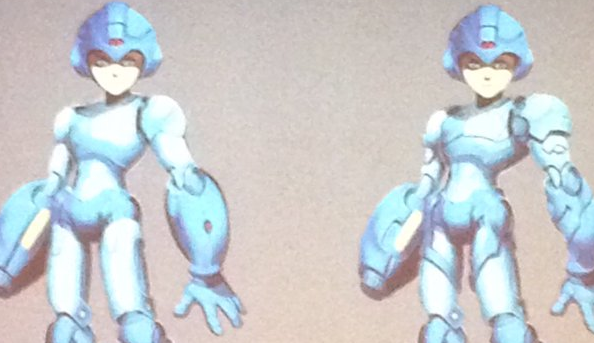 Well, it's a long shot better than what Maverick Hunter was going to look like. Of the two shown, I think I prefer the "Pixar" style more. So I guess that makes... five cancelled Mega Man games? Can this even be called a "cancelled" game when it never left the concept stages? Looks to me like they where just getting a feel for what a realistic edgy AAA Mega man would look like; to see if it would work. They didn't like what they were pitched by various studios. So they switched to a different idea. Who knows what new idea that is.